After getting off the highway, turn right at the traffic light. Go straight next traffic light ( You will see seven eleven on your left). 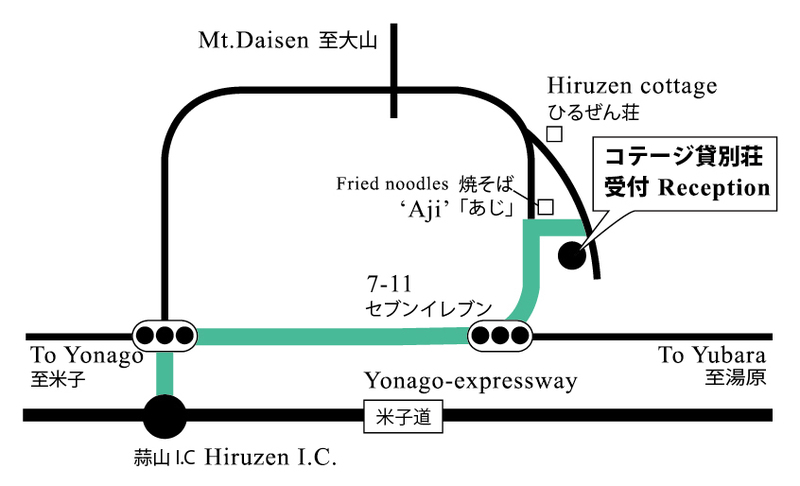 After 1 minute, on the way up the slope of S letter, turn right at the corner where yakisoba shop “Aji” is on the right. 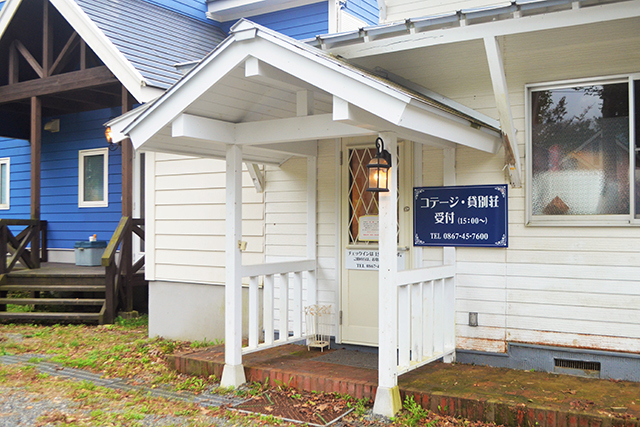 When passing past “Pension Sakata”, you can see 2 cottages on white wall and a log house Peter Pan. You can see the log house Peter Pan on your left, the reception is on the right side. 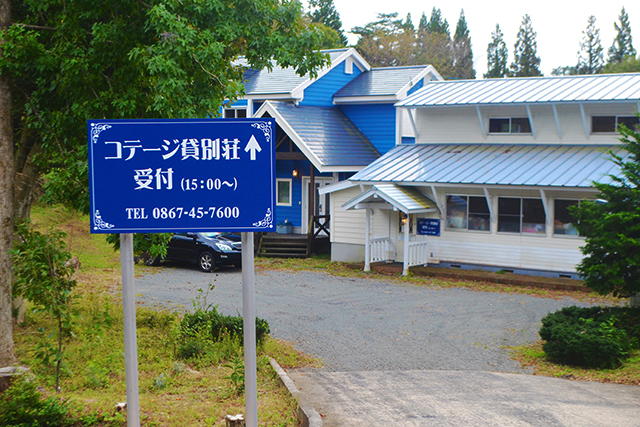 There is a signboard. This right back is the reception. The white building is our reception. 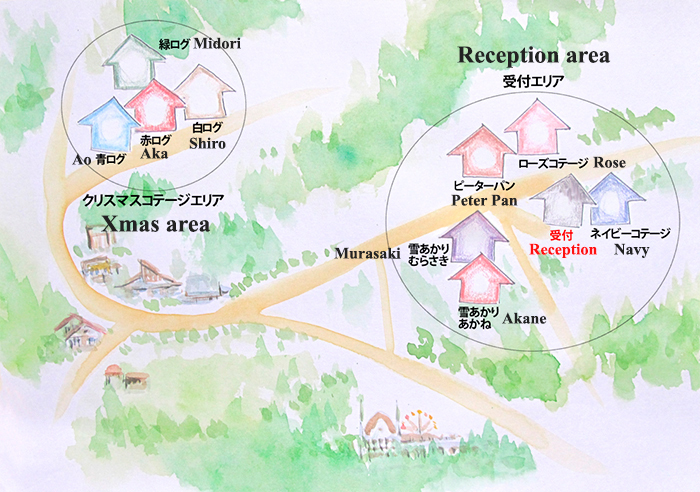 Please come to the reception ( 0867-45-7600 ) on the opposite side of ” Peter Pan ” to check-in. We hand over a key at the reception. 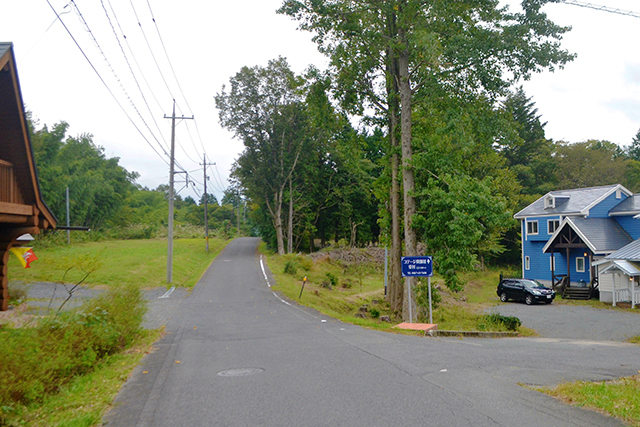 The Christmas cottage area is about 3 km away. 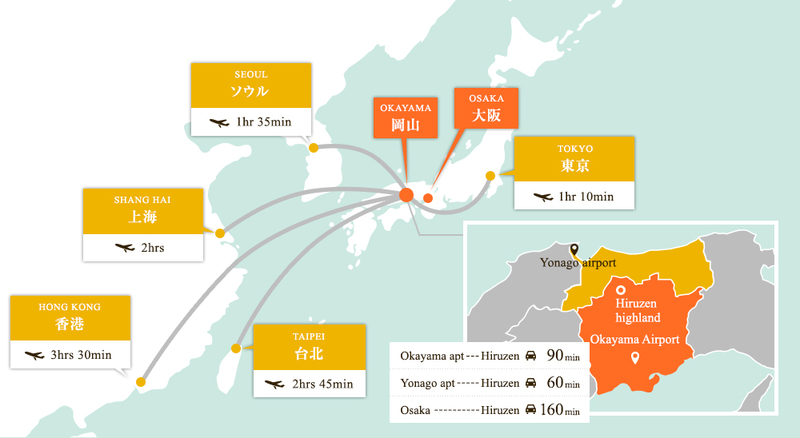 We will tell you the way to get there when you check in. 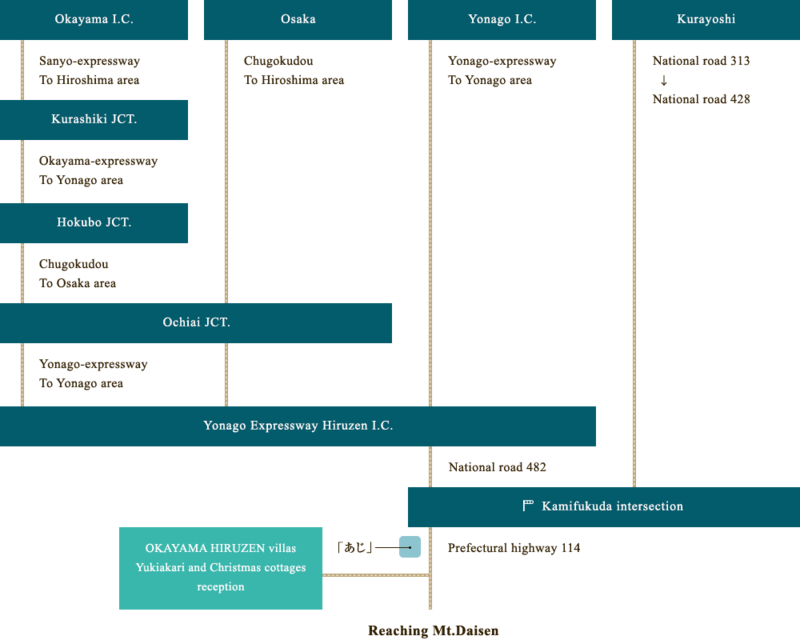 【 During campaign by the co-venture of Maniwa city and Orix Rent-A-Car! 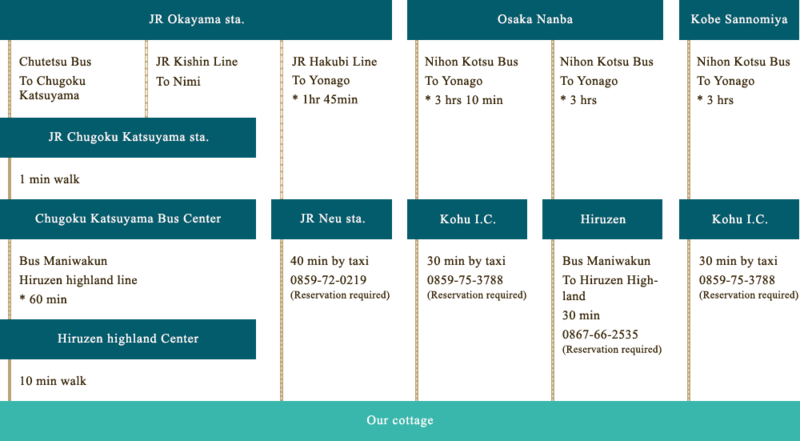 】 The Net reservation is discount! The information may change, please confirm in advance.